Happy Almost Valentine's Day, everyone! 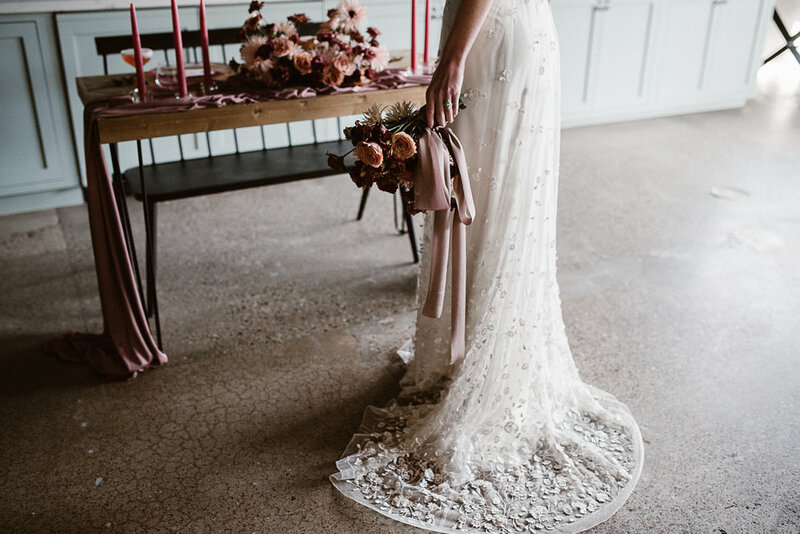 I've been so excited to share more from this Valentine's Day styled shoot, but I wanted to hold off until it had been published (which was so incredibly hard to do since I've wanted to share every bit of it). Now, I can gladly say our shoot has been published! Go check out our feature on 100 Layer Cake today! When we started planning this shoot months ago, we felt inspired by the Valentine's Day theme but wanted to do something a little different. 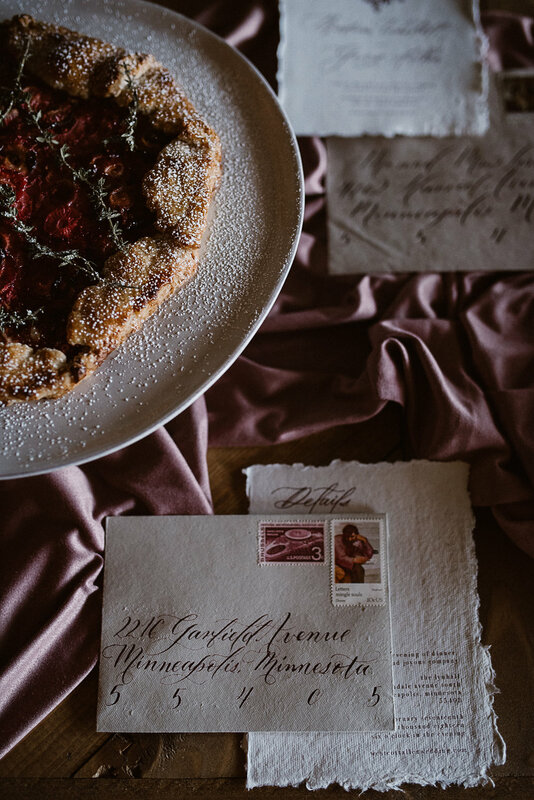 Instead of the holiday's conventional bright reds, we favored a subtle blend of mauves and soft pinks for a wedding that is minimalist and modern, yet full of charming, handcrafted touches that bring warmth and romance. Instead of a classic wedding cake, we chose a colorful galette and tart to match our aesthetic (which was quite possibly the best desserts I've ever tasted, I might add), and instead of a ring box, we used my grandmother's heirloom jewelry box for a unique and sentimental touch. After planning and being a part of this shoot, I've become even more thankful and proud of the community of vendors I get to be a part of. I never thought I would love styled shoots as much as I do, but getting to work with an amazing group of creatives is what I love doing the most. Check out all the creative people involved below!